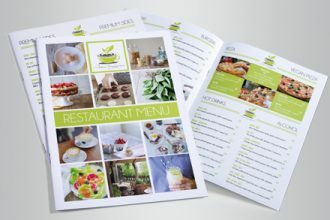 The category of Print Templates includes lots of materials, such as PSD flyers and brochures, CVs, business cards, postcards, PSD posters and restaurant menus, etc. 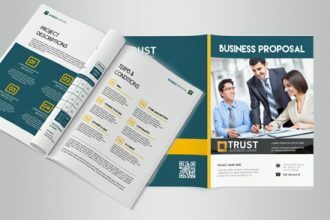 If you are looking for some print templates for promoting your business idea, company or agency, this category of Free Print templates is exactly for you! 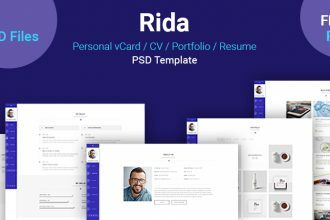 Rida–vCard is professional, clean, creative, simple and elegant PSD template is suitable as a vCard, Creative Portfolio or Personal CV and resume website for artists, designers and job-seekers. It is ideal for professional persons, creative studios, and companies. 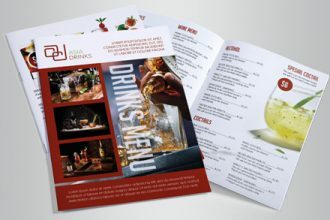 Download this Freebie – Free Restaurant & Bar Food Menu Bi-fold template! Very elegant and beautiful Bi Fold can be very useful for designers and promoters. Easily customize them in Photoshop and enjoy the results! Download Free Beauty and Spa Roll-up Banner Template PSD. 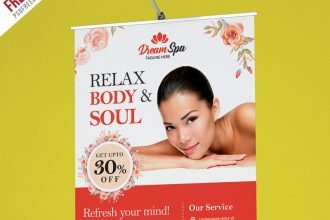 This is simple, eye catching & corporate roll up banner is used for any spa salon, beauty salon, skin care salon, spa studio, beauty clinic related businesses. 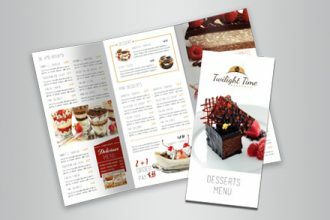 Download this Freebie – Free Desserts Menu Tri-fold template! 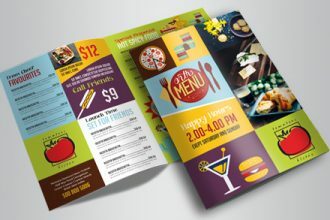 Very elegant and beautiful Tri Fold can be very useful for designers and promoters. Easily customize them in Photoshop and enjoy the results! 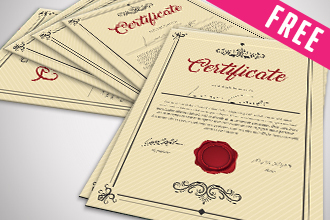 You are welcome to download Free PSD Multipurpose Certificates Bundle for your business and entertainment. This template is very qualitative and can be used as many times as you need. Download this freebie and become successful with Free-PSD-templates! We have created for you our today’s freebie – Free Models Agency Tri-Fold Brochure. Download it absolutely Free for creating presentations and for creating Branding Identify design and corporate style. Add any backgrounds and elements you like and put there necessary photo! So, you are welcome to use it the way you wish. Good Luck! Download this Freebie – Free Business Proposal template! Very elegant and beautiful Business Proposal can be very useful for designers and promoters. Easily customize them in Microsoft Word and enjoy the results! 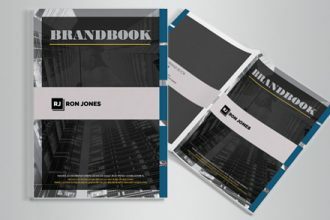 Free Brand Book 10 pages A4 in PSD it is what you need for your business! This elegant PSD template is the best way to use it for making presentations and create advertisement for your future clients and partners. Enjoy this template from Free-PSD-Templates and let your ideas become successful! 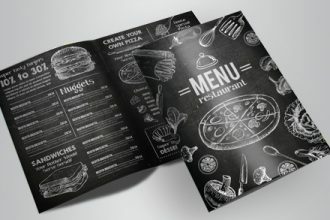 If you want to have great Menu design for your café or restaurant – you can download absolutely Free this awesome Free Menu blackboard Bi-Fold Brochure. Customize it the way you wish and enjoy the results! 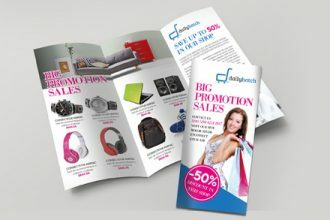 Download this Freebie – Free Big Sales psd Tri-fold template! Very elegant and beautiful Tri Fold can be very useful for designers and promoters. Easily customize them in Photoshop and enjoy the results!